Some people think that having kids means giving up adventure. That has definitely not been the case for us. Whether we're skiing close to home in Colorado (a big priority in our family) or diving with sharks in the Bahamas, we're always either having a grand adventure or planning our next one. Adventuring with your family can be so much more fun than by yourself or as a couple, because you have more people to share the experience with. And when you do something new and unfamiliar together, especially if there's some risk or challenge involved, you really have to rely on each other. You don't have to make a lot of money to have grand adventures with your family—we certainly don't—you just have to prioritize. I remember saying to my kids, "Do you want to keep that light on, or do you want to go to Disney World?" We always have a vacation in the works, a goal that we're working toward. In between our big trips, we find smaller ways to create great family experiences. If you infuse daily activities with opportunities to be together, learn together, and have fun together, even everyday life can be an adventure. I had an amazing, adventurous childhood, and I have tried to create that for my kids as well. With neighborhood kids, we built tree houses, played baseball in the field with cow pies (dried) as bases, rode motorcycles over the irrigation bumps and rafted down the creek. My parents helped us build a BMX track and flew kites with us a mile high. My grandparents took us fishing almost every day of the summer. If we came indoors, we practiced piano, sang, or worked on chores. TV was a small part because we loved being outdoors. We've always made family vacations a priority. By vacation we don't mean visiting grandma, although we do that too. There's a difference between a trip and a vacation. Every few years, we choose a big vacation and then figure out how to make it work. We try to go somewhere unfamiliar to everyone, centered around a peak experience—a big adventure that challenges the family. So we go river rafting, or scuba diving, or canyoneering. We want to be nervous and scared together. Once we know what we want to do, we figure out how we're going to afford it on a teacher's salary. I'm the master at getting deals. Two years ago, we wanted to dive with sharks in the Bahamas. The retail value of the trip was about $21,000, but I found deals and we ended up paying under $3,000. We all help save for the trip together, which teaches the kids to prioritize and manage money. That summer we didn't use the air conditioning at all. When we were sweating, we just thought of the Bahamas. You have to say no to a lot of good things to make great things happen. Getting scuba certified together was also a great experience for our family. We were nervous about it together, we studied together, and we passed together. My husband and I have always made it a priority to spend one-on-one time with each child. One of the big things we do to give individual attention is to take our kids on two individual vacations each, one at age 10 and one for high-school graduation. The 10-year-old trip is a U.S. history trip. We took one of our kids to Washington D.C., one to New York City and Palmyra, one to Boston, and one to Williamsburg and Washington D.C. This was a great age to teach them about history and to spend time together. The senior trip is more of an adventure. We took our first daughter on a 10-day diving trip to the Florida Keys, along with grandparents. We dove in an underwater neighborhood of lobsters, southern sting rays, human-sized tarpon, brain coral the size of a Volkswagen bug, and shipwrecks. What an adventure! As we explored the island keys, we sampled key lime pie at every stop along the way, watched the people and the wild roosters, and went to a fortune teller. One of our biggest adventures on our Florida trip was when we paddled a raft through and under the boat docks just as a rain storm began. We decided to seize the day and went out anyway. A swollen storm cloud dumped buckets on us and filled our raft. We abandoned the rain-filled raft to warm up in the sea water and pulled it behind us out to the open waters. Thirty minutes later, the rain stopped and we had a great time snorkeling in the shallows. After Grandma had a run-in with a fire sponge, we emptied the rain from our raft and paddled back. We took our second daughter to Costa Rica. We rented a car the size of a roller skate (or smaller) and drove all over the lush, verdant country. We rafted the rapids of Sarapiqui River; watched a hummingbird migration; hiked up a dense rain-forest-covered, dormant volcano and swam in the bright green, chilled lake; learned to surf, and tried the octopus soup. Canyoneering (rapelling down canyons) in waterfalls of the rain forest and riding in the back of a cattle truck sealed the deal. We went to Belize for our adventure with our first son. Just the bus ride with locals was plenty-o-adventure. No air conditioning, peddlers of strange foods in stranger sauces and a bus driver racing like the wild bus ride on Harry Potter kept us awake for four hours across the country. We arrived near the boarder of Guatemala, then dragged our luggage on the rough dirt road through the dense jungle trees. Our son proclaimed, “Oh yeah. This is the kind of adventure I was hoping for!” Our tree house near the jungle river featured monkeys and a local Belizean cook on a deck for our meals. We learned how to make chocolate the Mayan way; explored the ruins of immense ancient temples; swam in caves full of 3000-year-old pottery and skeletons; jumped off cliffs into a river; met some iguanas; and scuba-dived on the second largest barrier reef in the world. While diving in the deep water, a large alien-like fish with upside down fins and suction plates on its head, tried to snuggle with us under the ocean. We’d never seen a remora fish before and shooed his affection. Scuba Steve explained that the was just seeking our protection. An essential part of every trip is attending Church and developing meaningful relationships. We learn about them and appreciate their cultural similarities and differences. A church leader we meant in Belize showed us the real neighborhoods behind the hotels and resorts. Literally in the trash dump, local homes raised on 10-foot stilts with stagnant, murky water underneath, saddened our hearts. Some of our new friends have even been able to visit us at our own home. Another tradition is helping the locals in a meaningful way. While always on a tight budget, we tip well for a job well done and give them work when possible. We donate our groceries to locals and leave items hard to acquire in the country. Our last child is still in High School and awaiting his future adventure with Mom and Dad! We’re looking forward to building some amazing memories with him, too! We also do one-on-one activities on a smaller scale. When all our kids were at home, we used to rotate who would go out with mom or dad on a Friday-night date. We'd also occasionally let a child stay up a half-hour after the others to give them some individual attention. Now that we only have one son at home, he and I do some sort of activity every Thursday night, while my husband has meetings. Reserving time for individual children really shows them that they are a priority in your life. When I was little, my grandparents lived next door. They taught me the value of hard work, and I have a lot of great memories working with them. Grandpa said, "It doesn't matter what job you're doing—you could be shoveling manure into a trench—what matters is who you're with." When we do dishes or clean bathrooms, I clean with my kids. Sure it takes longer, but it's not just about getting the dishes done. I learned from my college professor, Dr. Marshall, "The purpose of the task is to strengthen the relationship. 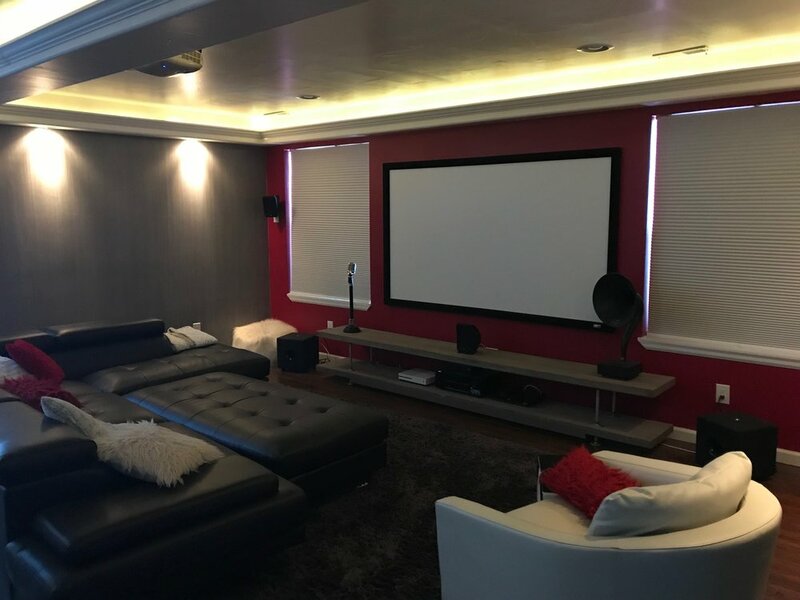 The ultimate work-together experience for our family was finishing our basement. We planned it out together and did all the work ourselves. We wanted to teach them to start and finish the project, and all the skills in between. It took us more than a year of blood, sweat and many tears, but it was worth doing together! We designed it intentionally to be a fun place for teenagers to hang out. And once it was finished, my kids had friends over practically every day. We added one bedroom for our married, college students to live with us between semesters and until they could afford to live on their own. We used wallpapering combs and drywall tools to create a “starry night” pattern in the ceiling. 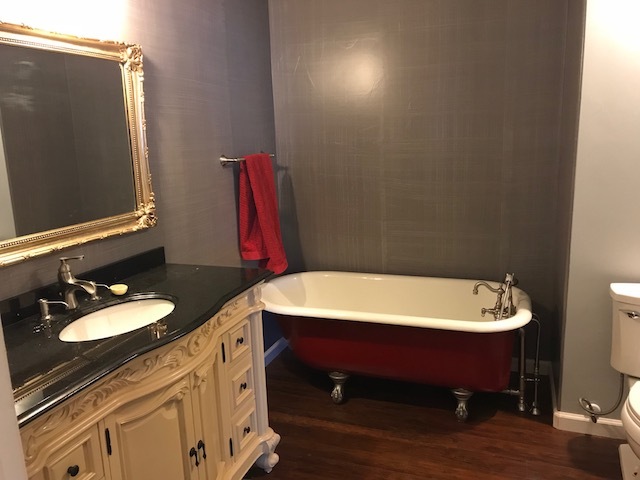 I found a 100 year old clawfoot tub we all worked to refinish in deep lipstick red and nickel feet to remember my grandmother’s clawfoot tub we loved to slide in as kids. We left the rest open to entertain guests for parties and watch movies. 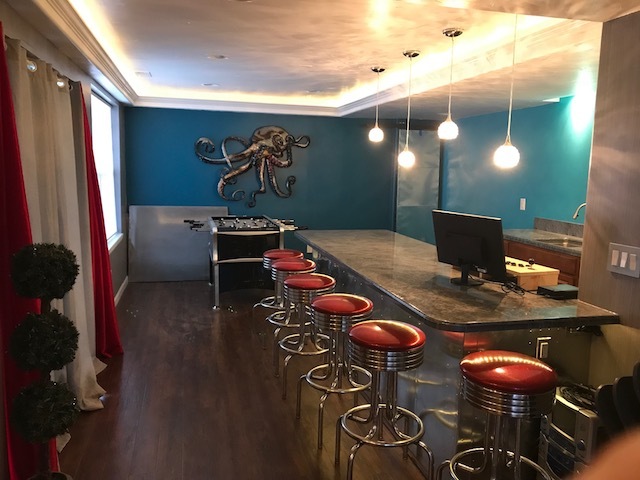 There is a foosball table, long bar for projects, electronic dart board, micro sized ping pong, cupboard full of board games, a punching bag, a fitness pole and hanging bands, a giant balance ball and a stairway without a railing for sliding down. Under the stairs, we made a miniature doorway with a motion sensor light and window for future little kid visitors full of books and dress up clothes. Our son slept there the first night as he wanted to be like Harry Potter and sleep in the little closet under the stairs. My son Kemron was a junior in high school when we decided to tackle the basement. He was so invested in in it that he didn't want us make any decisions without asking his opinion first. It ended up actually launching him into the career he has chosen: construction management. He is now 19, and has a job with an engineering firm. I've always cared more about making our house welcoming than making it beautiful and pristine. Two years ago, we decided to install a climbing wall in our main living room--the obvious location, since it has the highest ceiling. I have to admit, this was as much for me as for the kids. I work at a company called Avid for Adventure, and rock climbing is a big component of what we do. I love it. We designed the wall with colors that blend into our natural decor. It's a great way to keep in shape and a good reason to invite people over. As I mentioned, we designed our basement specifically as a teenage hangout. Many friends have come to hang out and we’re glad they want to be here—even when it’s late and we need sleep! One of my favorite quotes, from Gordon B. Hinckley, is, "Life is to be enjoyed, not just endured." You’ve got to make it fun whatever you do. Our family loves to tease each other and play harmless pranks. I'm always looking for ways to make fun activities even more fun. For example, instead of just building a snowman, we'll build a snowman and spray it with food coloring. The best parenting moments are when I can see that my kids really are best friends, especially now that they're older. They love being giggly and silly together. When I asked them what bonded them when they were younger, they reply, “Friday nights.” We left on a weekly date and left them with a pizza, a treat, a craft or project, a funny movie and other exciting things that were not common during the school week. With a planned fun night, they looked forward to the weekend. One time, they pooled their money and dared each other to order pizza delivery, but got scared when Dominoes pizza answered the phone. They laughed and laughed at a computer program that took photos and allowed them to distort and contort their faces. We put the oldest in charge and paid for a well-managed job. Additionally, we paid the other kids $1 if they behaved. One of our traditions when we visit family is to play practical jokes. We hide gigantic bras and underwear in random places for them to find later. We once put pull-apart firecrackers inside their second oven (the one they don't use much), for a loud surprise. Another time, we put Nutella on the handle of the master bathroom door. One of my mantras is to say yes as much as possible, and to find a way to redirect if "yes" is not really an option. That way, the kids are more likely to come and ask instead of hiding something after the fact. One of my sons saved his money to buy a rope, two-by-fours, and a grappling hook. I didn't know what he was up to until he asked me for suggestions on what materials he should use to weave a basket large enough to carry him. Turns out he was trying to figure out how to lower himself out of his bedroom window in a basket. Trying to hold in my shock and laughter, I asked him questions about his plans, potential risks, and how he could make it safe. I drove him to the building supply store and let him explain to staff his plans while I stood behind him and winked. He worked on his project for a while, but it transformed into other projects easier for him to build (and less risky). I do have my limits, like when the kids called us while we were on a date asking, "Where do we keep the kerosene?" After that one, we had to outlaw the kids from watching Mythbusters while we weren't at home. My life as a mother has been anything but boring. 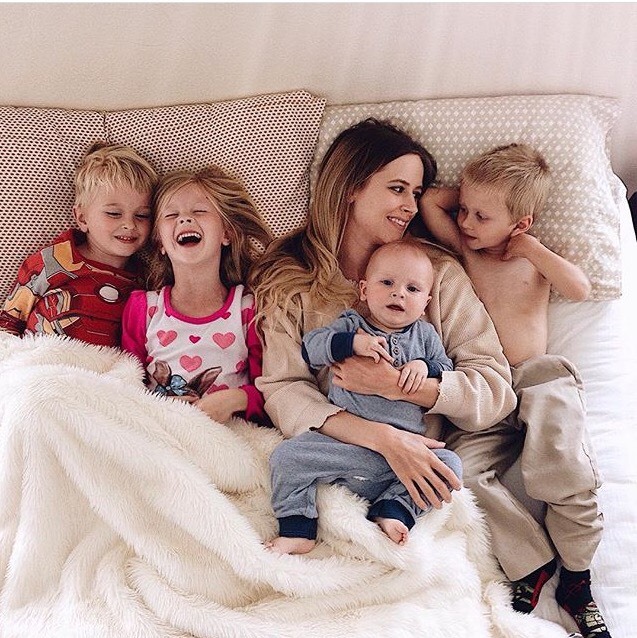 Nicole Searle is an adventurous mother of four. She has a degree in Family Science and studied Spanish and German. She currently works for at Avid 4 Adventure to teach kids how to be active outdoors, safely, and stay curious.